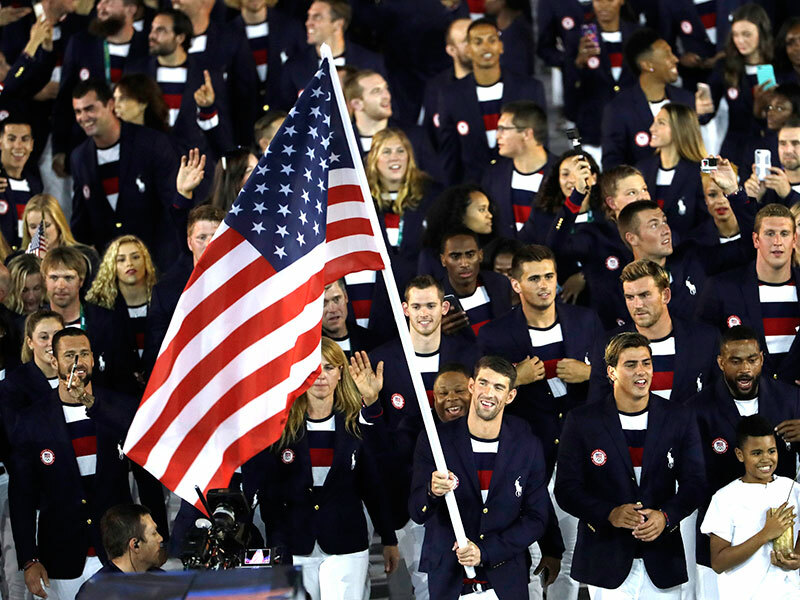 Why USA Team won't dip the Flag at the opening ceremonies of Olympics? For the last 100 years, the Olympic spirit has come with an asterisk for the United States. It's not doping. It's not underage gymnasts. In fact, if you're not looking closely, you'll miss it at the Opening Ceremonies: the United States will be the only country that refuses to dip its flag when passing the host country. Let's back up. During the Opening Ceremonies, every nation’s team parades in behind one member who holds the country’s flag. In the stands sit the governing officials of the home country. As the team marches past this section, the flag-holder lowers the flag as a sign of respect. Every country does the dip, except the United States. The small move of respect has been a thorn in the sides of home countries since the U.S. first snubbed tradition at the 1908 London Games. The story goes that the 1908 U.S. flag-holder and shotputter Ralph Rose kept the flag erect as an act of nationalism, proclaiming, "This flag dips to no earthly king.” However, according to Penn State professor Mark Dyreson, the story may not be true. In a piece for the Los Angeles Times, Dyreson, who studies the Olympics, says it's more complicated than that. Rather than being a matter of good old American pride, Dyreson speculates that the Irish-American athlete’s actions were more about disdain for the British. In that era, Irish athletes riled at competing under the Union Jack. And there's no hard evidence the "no earthly king" quip was ever muttered. So when we don't dip our flag, it's not pride. It's not hubris. It's not nationalism. It's just a big F-you to Hitler.